The Bundaroo House has been thoughtfully designed by Tziallas Omeara Architecture Studio in collaboration with Aj Corby Constructions. 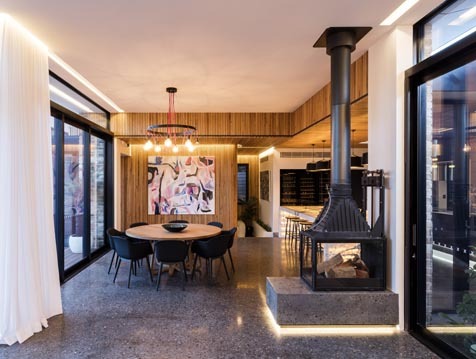 This heritage listed home in the highlands captivates a transition between old and new where the interesting, rich pallet of materials help marry the contemporary design with the thermal performance and complex build. 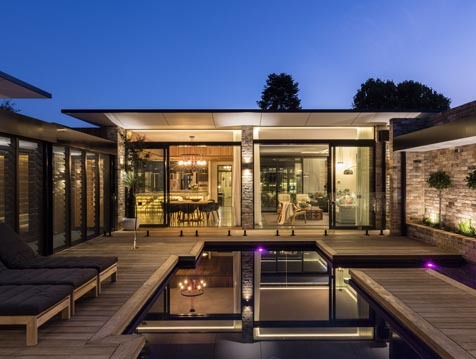 The architect Tina Tziallas worked closely with her clients and the builders to evolve this dynamic project and to maximise energy efficiency. 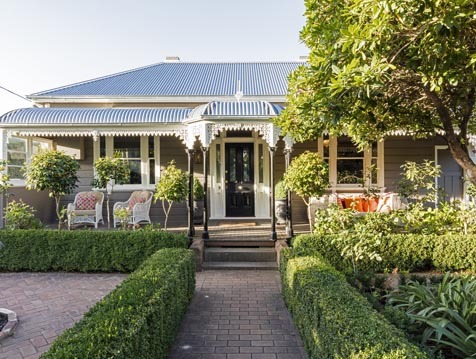 The home is kept private and allows the existing Bowral cottage to appear unchanged from the street while the beautiful addition replaces the dysfunctional 1980’s rear of the building. Hanlon Windows supplied the windows and assisted with the size permissible to achieve the solar-passive performance required for the home. Breezway Altair Louvre Windows were selected to provide an indoor / outdoor gallery space that visually connected the guest wing to the rest of the house. The Altair Louvres were important to the overall design as they provide cross ventilation. 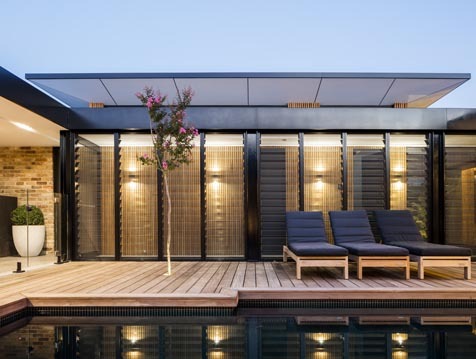 However the climate in which the home is located gets cold during winter so the louvres not being double glazed posed an interesting dilemma for the architect. Tina Tziallas resolved the issue by thermally isolating the louvres from the rest of the house. At either end of the gallery, external thermally broken doors and slabs where specified so the performance of louvre space did not impact the rest of the house. In addition to the louvre gallery, a large entertainers kitchen was created in the heart of the home, along with a new living and dining area, sunken media room and guest accommodation. As a result a well-insulated and airtight envelope that maximises passive solar heat gain and natural cross ventilation has been achieved. The house captures the sunlight in winter, and excludes it from heating up in summer. 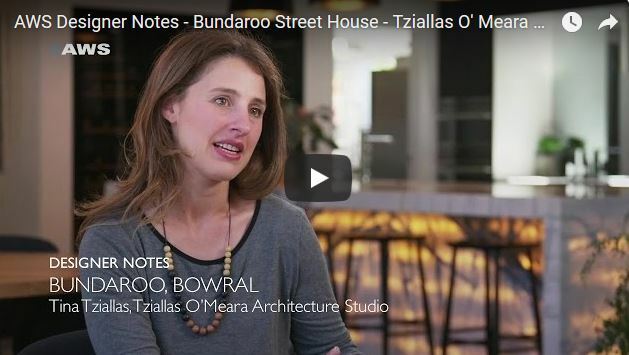 To view the AWS Directors Notes of the beautiful thermally efficient renovation in Bowral, please watch the video below.